It's unprecedented, but I actually have in front of me both a scanner and a comic, at the same time, in the same room, and as such it's virtually a law of physics that I should bump the two together and see what spawns. I thought I'd share a little snippet from Transmetropolitan, in which Spider succumbs to advertising - and let's face it, who wouldn't with these babies? Yikes I picked up the new Avengers Initiative. Steve Yu is drawing female characters like they were mid teen girls with their bits hangin' out. Warning: This post contains historical racism in the form of Asian stereotypes. Chuck Dixon talks about the ressurection of Spoiler...who really first had plans to make her Robin, and the new identity he wanted Tim to have! And an image to make it legal.. I post these to show how much respect Jay deserves. I actually lied when I started this series; Cheetah doesn't show up in every run of Wonder Woman. Luke never touches her (or any other Wondy rogue, barring his own obligatory reintroduction of a Golden Ager), so for our next take on Cheetah we jump ahead to Jimenez' run and a tale that can probably be most accurately summed up, both in its content and its absurdity, by two words: Boy Cheetah. Now last time, I called this story "confusing," which isn't entirely true. Provided you know who Fury *is*, how her powers work and how she's involved with the Wonders, and are able to keep track of a story told in two-page installments over the course of twenty issues, it's actually pretty straightforward right up until the very end. And even then it's more plot-hole-y than genuinely hard to follow. However, the fundamental point of it seems to have been "let's get rid of Barbara Minerva, Cheetah works so much better as a man," which... what? I mean, I'm the first to admit the woman's been a little inconsistent as a character but seriously, what? Next time: Rucka and Johns compete over who can annoy me more. To no one's surprise, Johns wins handily. Perhaps Ben Edlund's The Tick (and Arthur, Sewer Urchin, Die Fledermaus, Chairface Chippendale and all the rest) need to be experienced and not described. It's better that way. Here, at any rate, are two indispensable items. First we have a handy guide for coming up with super-hero names and catch phrases. When so many of the more striking name have long been claimed, it's harder and harder to devise one that a hero or villain hasn't already claimed. Just as actors often have to use their middle names because someone is already listed by the Screen Actors Guild (so Mary Moore became Mary Tyler Moore) or have to change their real name already (as David Bowie had to abandon his original last name because the Monkees had a singer named Davy Jones). So a new super-hero can't just be the Owl, he has to be the Midnight Owl or Owlympus or Owl Boy. And only one man can stop them. Remember! WWII wasn't only fought between the Allies and the Axis. It was fought by wizards, time-travelers, aliens, zombies, werewolves, ghosts, interdimensonal imps, heroes, villains, giant robots, the great old ones, nymphs, sages, shaolin monks, gorilla men, super-soldiers,amazons, mole men, C.H.U.D.S., Godzilla, Thor, pagans, celtic war-goddesses, the blob, trickster spirits, immortal warriors, gargoyles, giant sharks, giant squids, Jesus and the rest. Remember their efforts! Replacing  with <>. This code ensures that images are cut on IJ and LJ friends pages. Remember, unlike with a regular [lj-cut], there is no hyphen in the div cut. ETA: The RSS feed is located here. Because, you know, Barbara Minerva isn't all about finding ancient treasures and creating genocide-golems. She also has a romantic side! 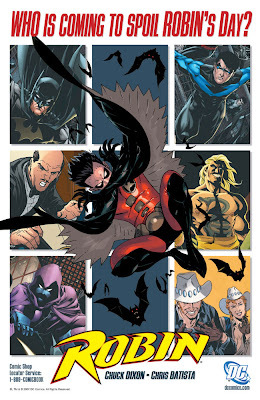 This is essentially, the introduction of Jason Todd to the Batverse, showcasing his introduction to the world of Robin-ness, reveal how pre- Crisis Batman handled so many things differently from his Post-Crisis, Frank Miller self, and also highlight the gorgeous, rich artwork of the late, great Don Newton (inked by Alfredo Alcala), one of the most under-appreciated Batman artists ever IMHO. Same Robin-time (kinda), same Robin channel..